Hi. Josh here. 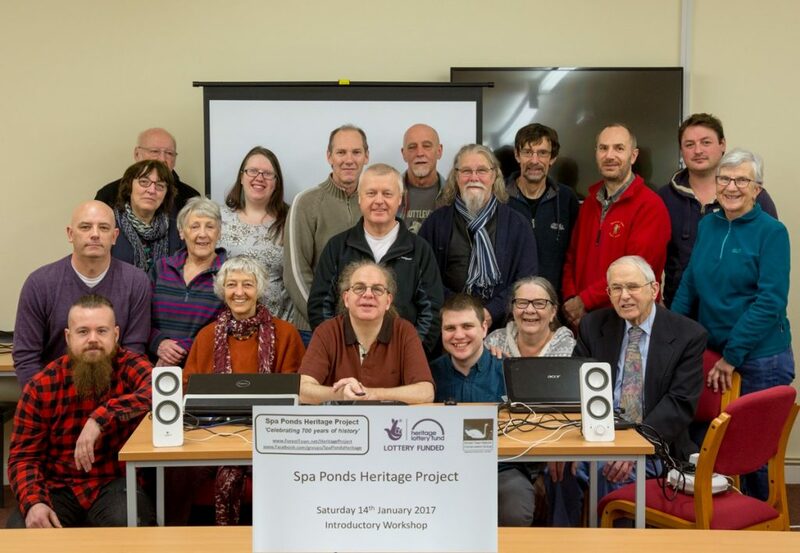 We thought it might be nice for there to be some written accounts of some of the activities that take place throughout the Spa Ponds Heritage Project to give people a flavour of how things went. If you would like to add your own account of this, or of future activities, please let us know. For me, the day started by bringing the kit to the Community Centre (thanks for the lift John!) and setting up the room (thanks to all those who helped with this). Folk steadily arrived as we approached our 10am start time for the Workshop. Whilst unfortunately a few people couldn’t make it, we still had more than 20 people there and had a great vibrant atmosphere, so thanks to everyone who took part and who took photographs. And for those who didn’t make it, well, the fun is just beginning and hopefully this account will help give you a sense of what happened and of what is to come. 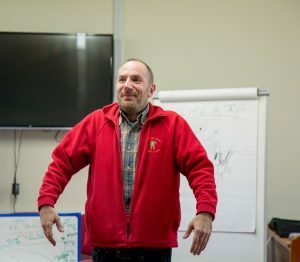 After welcoming participants, giving apologies, and basic housekeeping, Shlomo introduced people to Spa Ponds, explaining how The Forest Town Nature Conservation Group own and manage the Spa Ponds Nature Reserve, which is a Local Wildlife Site that encompasses woodland, grassland, and a series of spring-fed medieval ponds. 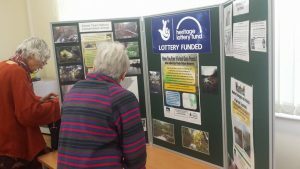 This was illustrated with both a map of Spa Ponds, and some photographs of the site contributed by local photographers – it’s always nice to have opportunities to make use of their work, especially when it can help introduce new people to our special site. Shlomo then got down to business, and provided the project overview. 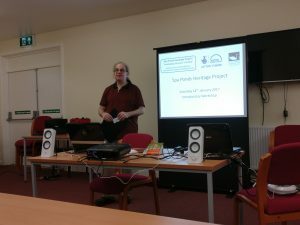 His presentation slide explained how we had received a £8,500 grant received from Heritage Lottery Fund for the Spa Ponds Heritage Project, which ends in October 2017, and explained the Approved Purposes of the project. Shlomo then went into the topic of what a Heritage Management Plan is, and how this related to the project. 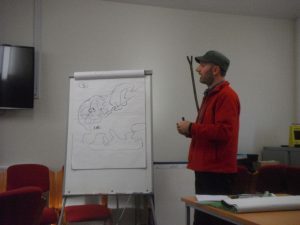 Mark is the Spa Ponds Tree Recorder, so we’ve had updates from him before about his work, but nothing near as special as his interactive session entitled ‘Time Travelling With Trees’. The journey began with some quizzes on tree species. This helped highlight the unexpected (to us) difference in the number of native tree species across the world. This led into an explanation of why this was the case, with Mark explaining how it is that the United Kingdom has so few native tree species and none that are truly unique. It turns out that England had been badly hit by the ice ages and a prehistoric tsunami which meant that we have far fewer native tree species than in countries closer to the equator. 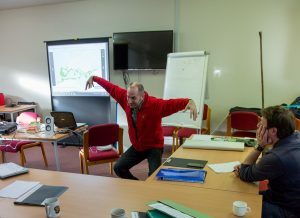 To illustrate some of the difference in ‘personality’ between our native species, Mark used mime to show the life cycles of some different trees and had us guess what they were. This was followed by an explanation of how the differences in how trees grow and spread can impact upon your likelihood of finding the trees in different areas, and how this relates to the ways they respond to natural extreme weather event cycles such as flooding. Mark also talked about changes in land use, from the time when the country was almost entirely ‘wild wood’, with woods lost to other uses (e.g. agriculture) or converted into ‘managed woodlands’. 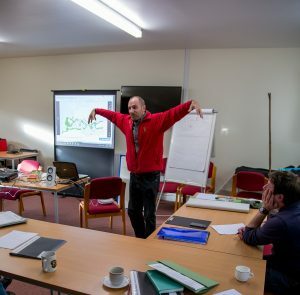 Mark explained how one thing we can be looking into as part of the project is the question of whether Spa Ponds could be considered an ‘ancient woodland’ which is a wood that has been around since 1600 and which is therefore distinct from subsequent ‘man-made’ woodlands and plantations which followed. 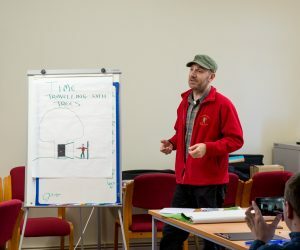 Mark introduced people to the tree records which exist for the site (some of which are on http://www.ancient-tree-hunt.org.uk/), and how they can help tell us something about how the site was regarded and what it was being used for. Mark also shared his hope that our observations can be informed by documents such as tree planting plans. 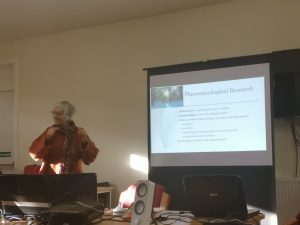 Ann explained how this all ties in with the Oral Histories element of the Spa Ponds Heritage Project, and how: “Maps, records, books, photographs give us the framework of truth, like the weft and warp of weaving. The lived experiences, feelings, beliefs and stories of the folk who have visited the ponds give colour, texture and patterns, enhancing further aspects of the truth”. 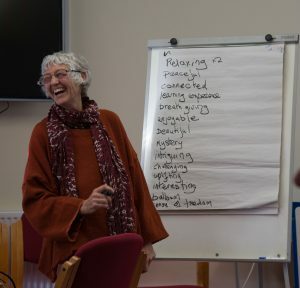 Ann went on to explain the process of carrying out recorded interviews, writing up summaries and quotes of what was said, and then analysing this to identify patterns of personal meanings, beliefs, feelings, relevant interest, perspectives, ecology, personal values, community values, commonalities, differences, benefits etc. Once this has been categorised emerging themes can be found, and these can be illustrated using actual quotes, and it can all be brought together into a meaningful and relevant discussion that is properly written up. Ann used videos of different interviewing techniques to show the importance of using questions that do not bias the answers, and the appropriate use of follow-up questions to help add relevant detail and clarify understanding of their experiences. She then involved the participants in an activity whereby they were presented with three different ways of posing a single question and asked to raise their hands to vote for which framing they would prefer. This showed that different people preferred different framings of the question (“Can you think of a word or short phrase to describe: Your experience of being at Spa Ponds / What’s it like being down Gara Ponds / Your visit down at Spa Ponds”). We were then asked to provide a single word answer to this question, and use the first word which came to mind, and so each person gave a word. One person said the word they thought of was the same as one that someone else had mentioned, and asked if that was okay, and Ann made it clear that it was perfectly fine as there can be value in finding common words which occur to multiple people. 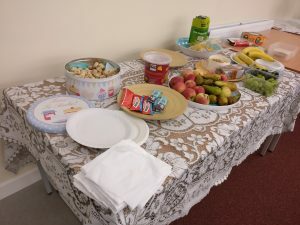 To finish things off, Ann provided an example of how the words could be categorised into different ways of looking at the site, and Shlomo informed everyone of the availability of forms to be filled in by those interested in being Oral History interviewers or interviewees. We handed over the Matt who, after a bit of a comfort break, alternated between his PowerPoint presentation and looking at websites and online documents to explain what the project was about and to show us some past projects he was involved in and what activities, approaches and lessons we could bring into our project within the context of the various elements/phases of the project. 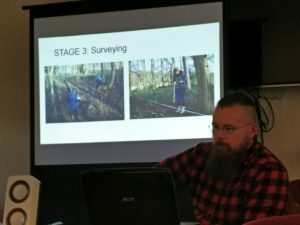 Matt started by talking us through the four phases of the project, which are set out at – http://www.foresttown.net/index.php/heritageproject/diary-dates/. 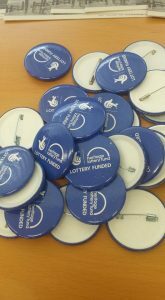 We are currently at the end of the ‘project launch’ phase, and can look forward to the ‘heritage workshops’ phase, the ‘surveying’ phase, and the ‘dissemination and celebration’ phase. Matt talked about Elmton, and the technique used there involving coloured dots to annotate Ordnance Survey maps with indicators of finds in the Historic Environment Records (H.E.Rs) and the time periods they relate to, and how this is something we could do as part of our project. Matt explained how through the Elmton project they identified relevant threats/risks to the heritage, how these risks could be minimised through the use of constraints, and some opportunities for management/restoration. Matt provided examples of documentary research and associated reports available from http://www.mbarchaeology.co.uk/publications/ such as the ones for Scarfcliffe Park and Pleasley Vale, showing both the information these reports contained and how they were presented. Matt then went on to providing us examples of surveying work carried out by groups, and how much that related to the constraints and opportunities of the particular location. He also explained how this can be tied in with confirming previous research and ‘ground truthing’ LIDAR data, including examples from Whitwell Woods and Hardwick Hall. Matt provided examples of the value of geophys and explained how this will be covered alongside the other aspects as part of the Spa Ponds Heritage Project and how the extent to which it could be used will depend upon the constraints of the site (that is to say, the fact that resisitivity testing is designed for open fields rather than woodlands and ponds) and whether relevant opportunities are identified for worthwhile geophys given those constraints. Finally, Matt talked about the opportunities for us to share our findings with others at the end of the project, and how we need to be thinking about these different audiences as we collate and process the information throughout. Fortunately, as landowners we are in a good position to take forward any recommendations, although we may need to attract new funding to pay for works or for more research. This entry was posted in SPHP, Uncategorized by admin. Bookmark the permalink.